Walmart Cyber Monday Sales Have Begun! The Walmart Cyber Monday sales have begun! They have everything from toys to electronics to bikes to computers and much more!! Take a look around as things will sell out over the course of the day! 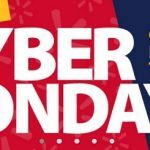 … [Read more...] about Walmart Cyber Monday Sales Have Begun! Walmart Black Friday Sales Have Begun! The Walmart Black Friday sales have begun! They have everything from toys to electronics to bikes to computers and much more!! Take a look around as things will sell out over the course of the day and tomorrow! … [Read more...] about Walmart Black Friday Sales Have Begun! 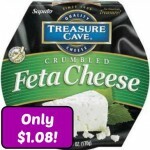 New Treasure Cave Cheese Coupon Means Only $1.08 At Walmart! There is a great new $.50 Treasure Cave Cheese coupon available today! Walmart sells these containers for $1.58 regular price at Walmart, so here's how to get a much better deal:Treasure Cave Feta Cheese 4 oz sells for $1.58 Use $.50 Treasure Cave Cheese coupon Final Price: $1.08This would … [Read more...] about New Treasure Cave Cheese Coupon Means Only $1.08 At Walmart! New Dole Mandarin Oranges Coupon Means $.81 Cans At Walmart And Target! There is a new $.75/2 Dole Mandarin Oranges or Tropical Fruit coupon available today! 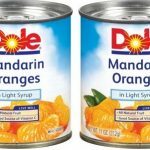 Walmart sells Dole Mandarin Oranges for $1.18 regular price and Target sells them for $1.19 regular price, so here are your deals:Walmart Dole Mandarin Oranges 11 oz $1.18 ($2.36) Use $.75.2 Dole Mandarin … [Read more...] about New Dole Mandarin Oranges Coupon Means $.81 Cans At Walmart And Target! New Bear Creek Country Soup Coupons Means $1 At Walmart Or Target! 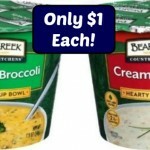 There are two great new Bear Creek coupons available today!$1 off one Bear Creek Mix coupon $1/2 Bear Creek Soup Cups couponWalmart sells these for $1.50 regular price and Target sells them for $1.79 regular price, so here's how to get some nice deals:Walmart Buy 2 Bear Creek … [Read more...] about New Bear Creek Country Soup Coupons Means $1 At Walmart Or Target!